Many of those who want to enjoy the luxury and convenience of condominium living in Sarasota, Florida, won’t likely pass up the purchase options for Savoy on Palm condos for sale. Upon its construction in 2006, this property immediately gained prominence among the real estate for sale in Sarasota mainly because of its great location at 401 South Palm Avenue. 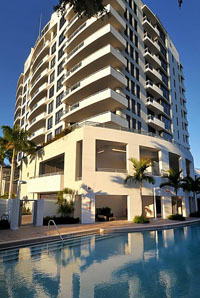 The Savoy on Palm is high-rise with eleven stories which is decidedly a highly exclusive community. Within this tower are just twenty-four residences that can favorably compare with other first-class condo units in the Florida real estate market. These homes’ outstanding quality is at once evident in their floor plans that range between 2,900 square feet and 6,700 square feet. 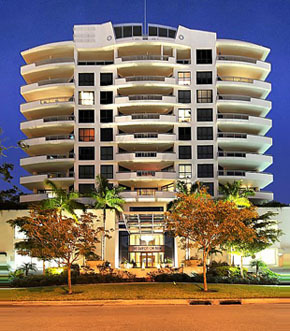 The sales listed Savoy on Palm condos for sale with 3,600 square feet of floor space can have asking prices of around $1.95 million. The tag price can rise to about $2.6 million for an option on a residence with a floor area of about 4,400 square feet. For the choice penthouses on the upper floors, the unobstructed bay views that these units provide and even larger floor spaces equate in valuations reaching up to $5 million. Only the finest materials went into the construction of each of the Savoy on Palm condos for sale which are truly outstanding for their superb finish. Select Savoy on Palm condos, moreover, have a private elevator to the lobby, back and front balconies, while all the residences have either a two-car or three-car garages. The amenities at Savoy on Palm are as equally fabulous as the waterfront and bayside panorama afforded by other luxurious Sarasota condos for sale. Among the community facilities available to the residents are a sixty-foot heated swimming pool, cabanas, and spa. In addition, they also have access to concierge service, conference and social rooms, a fitness center, and a rooftop terrace for am awesome three-hundred-sixty-degree view of the condo’s surroundings. As easily accessible are the various parks as well as arts and culture attractions in the city. Among these are the Island Park and the Florida Studio Theater, both walking distance from the condominium complex. Added delights are provided by options for fine dining offered in such nearby venues as the Dino’s Plaza and Bijou Café, and by choices for shops around the neighborhood like the Whole Foods Market and the Publix Supermarket. Going on a short trip across the Ringling Bridge further expand the lifestyle possibilities offered at St. Armands Circle which in itself can easily round out the pluses for the Savoy on Palm condos for sale. 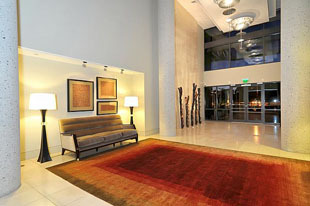 Below are all of the current condo listings available for sale at Savoy on Palm.